Artemisia Herbals - Handmade soaps, creams, body butters, aromatherapy blends. 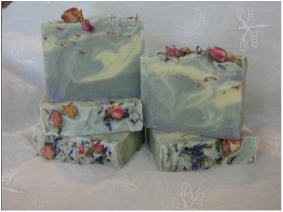 ​Artemisia Herbals is a maker of quality soaps, creams, body butters and aromatherapy blends. Pure oils, organic butters, clays, mineral micas and botanicals are selected and blended to create a luxurious skincare experience. Handmade in small batches, everything we make is unique and created with love and attention to providing your face and body with the nourishment it needs to thrive. U.S. orders over $100 ship FREE!